A tough dog leg par 4. Undulations in the fairway can catch out many tee shots and leave a near blind second. Longer drives tend to bounce off right into a grassy hollow making this a particularly tricky driving hole. 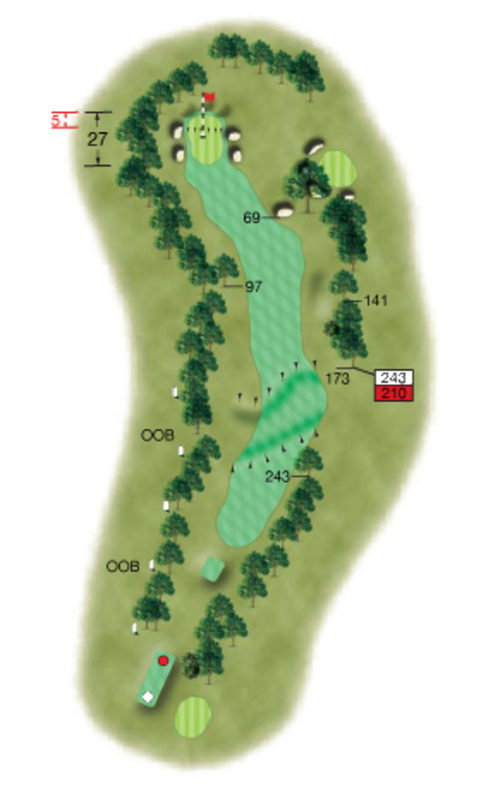 The green is surrounded by 4 bunkers and a steep grassy bank at the rear. A steep slope three quarters of the way up the green makes the pin hard to get close to when the flag is at the back. Longer hitters should play a draw from the tee to avoid the grassy hollow that gathers anything leaked right.